Donald Trump is expected to announce Saturday that in exchange for money for his long-promised border wall he is open to trading protections for young people brought to the country illegally as children. 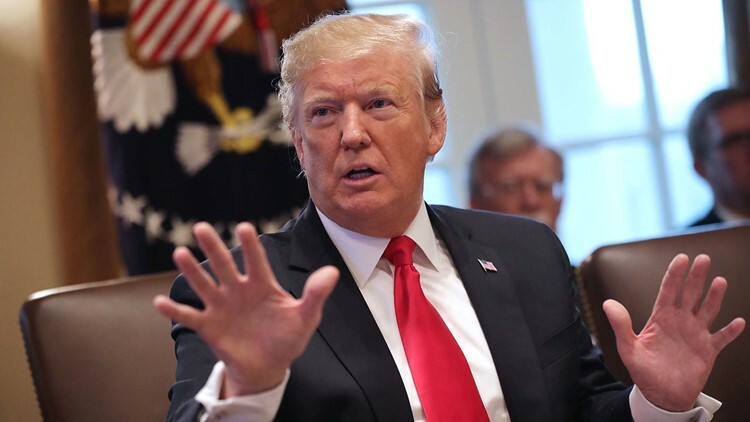 WASHINGTON — Seeking a way to end the shutdown standoff, President Donald Trump is expected to announce Saturday that in exchange for money for his long-promised border wall he is open to trading protections for young people brought to the country illegally as children. But it was not clear such an offer would budge Democrats, who have previously rejected such a deal. Trump's plans were confirmed by three people familiar with his thinking who spoke on condition of anonymity because they were not authorized to discuss them by name. Vice President Mike Pence, Trump's son-in-law Jared Kushner and acting chief of staff Mick Mulvaney have been working "non-stop" on the proposal, according to one of the people. The president is also expected to include extending protections for those with Temporary Protected Status after fleeing countries affected by natural disasters or violence. Trump, though, is known to change his mind and could still decide on another course. His refusal to sign spending bills that lack the $5.7 billion he wants to start constructing that wall prompted the shutdown.